Convert your ACT! database into Outlook, including Notes, History, Attachments and User Defined Fields to Outlook. In addition, convert multiple users into multiple Outlook folders for easy placement of Calls, Todo's and Meetings. Fully compatible with Outlook 2000, 2002 and 2003 and ACT! version 2007. Compatible versions for ACT! 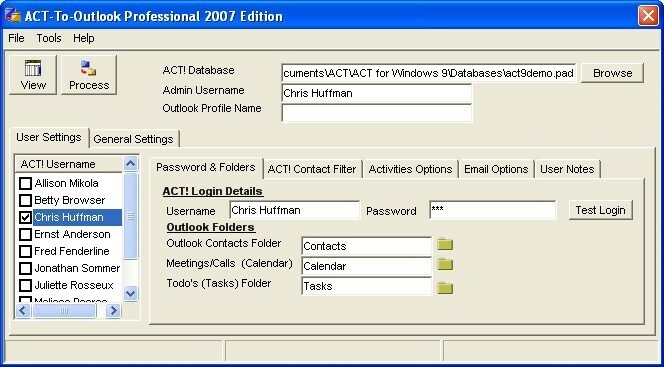 2000, 6.0 and 2005/2006 are available at the act-to-outlook.com website.